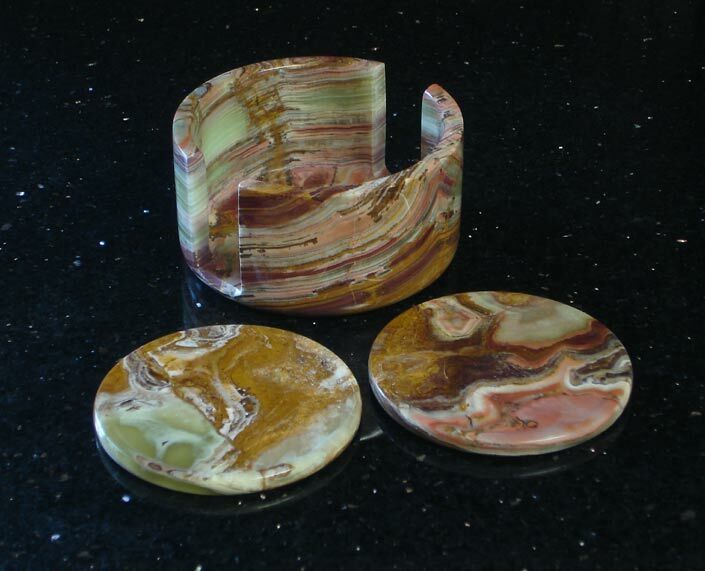 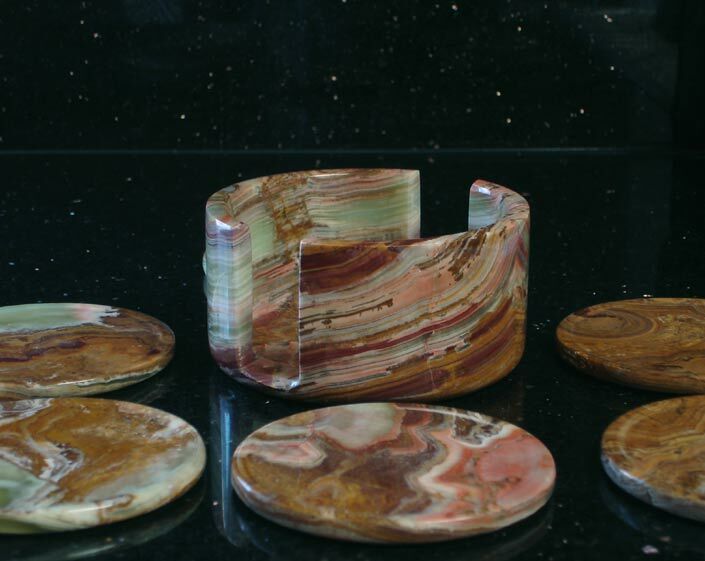 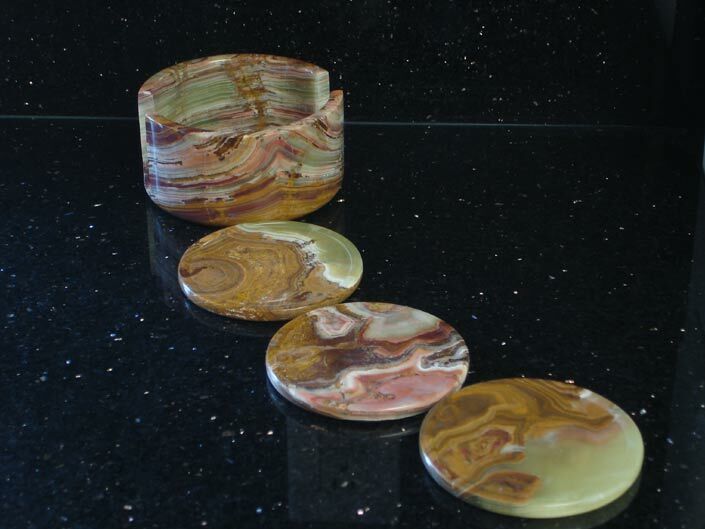 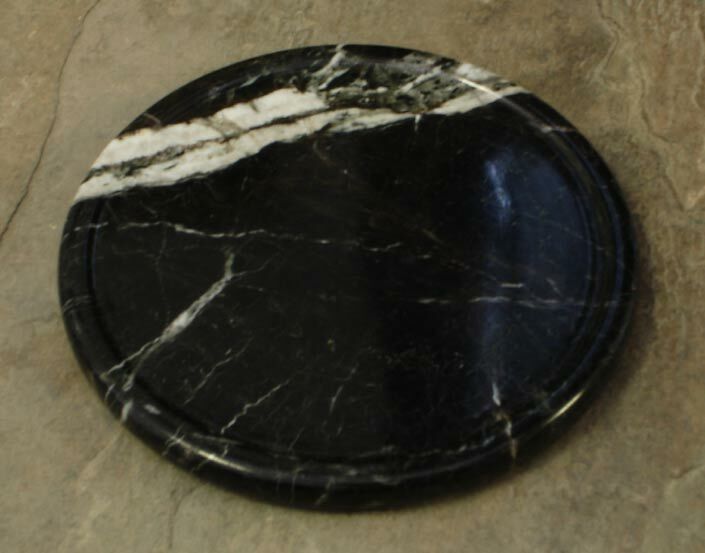 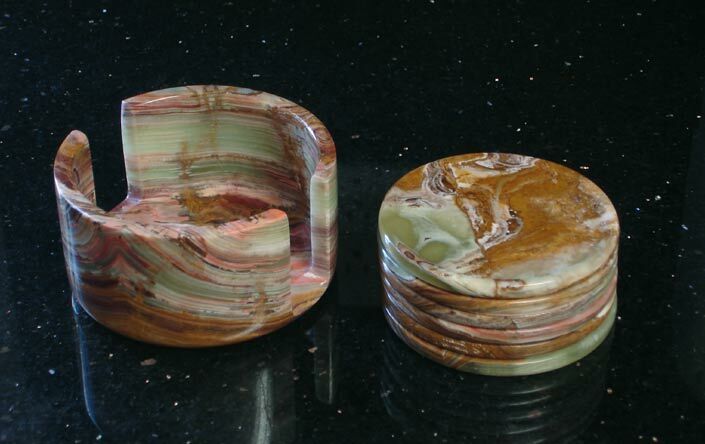 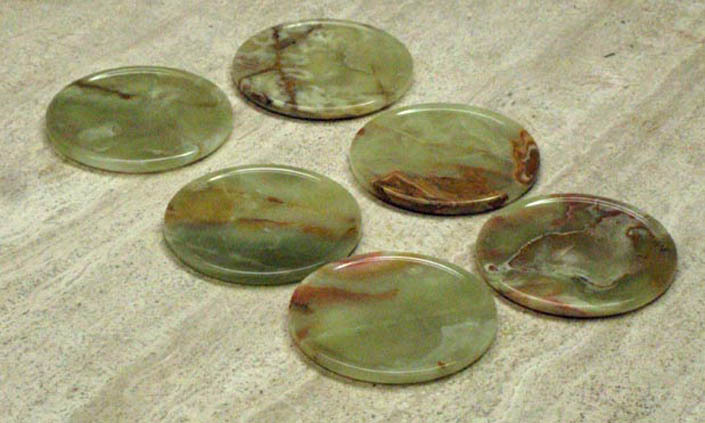 These smooth polished drink coasters are made from semiprecious onyx stone, which is imported from Pakistan. 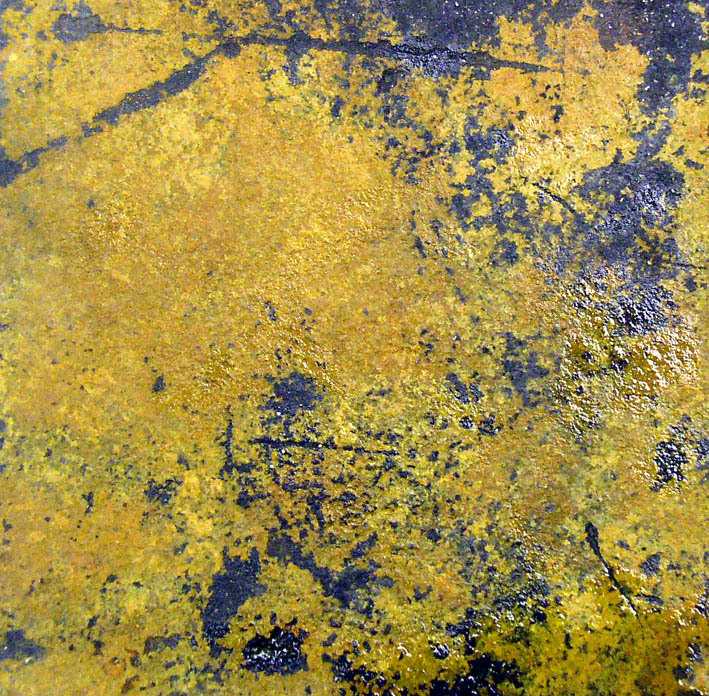 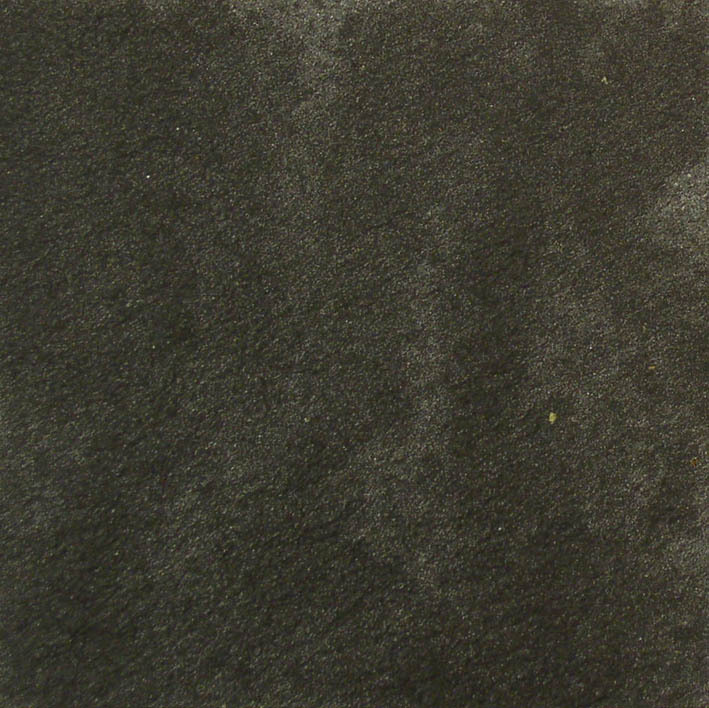 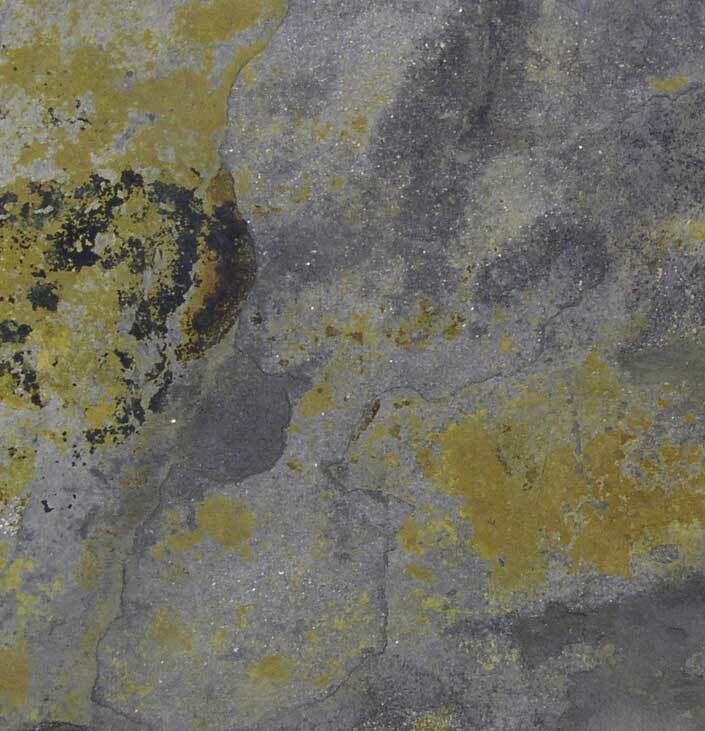 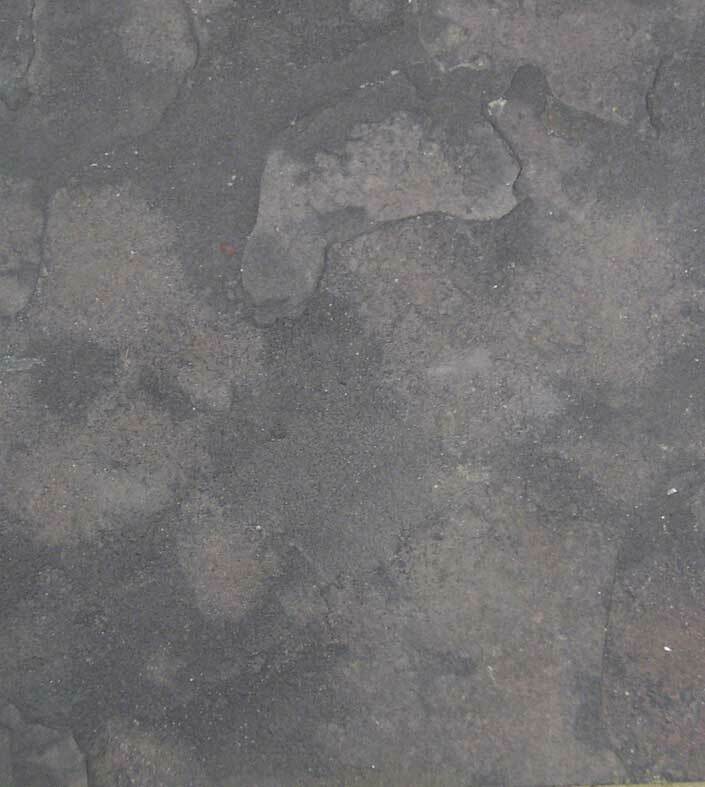 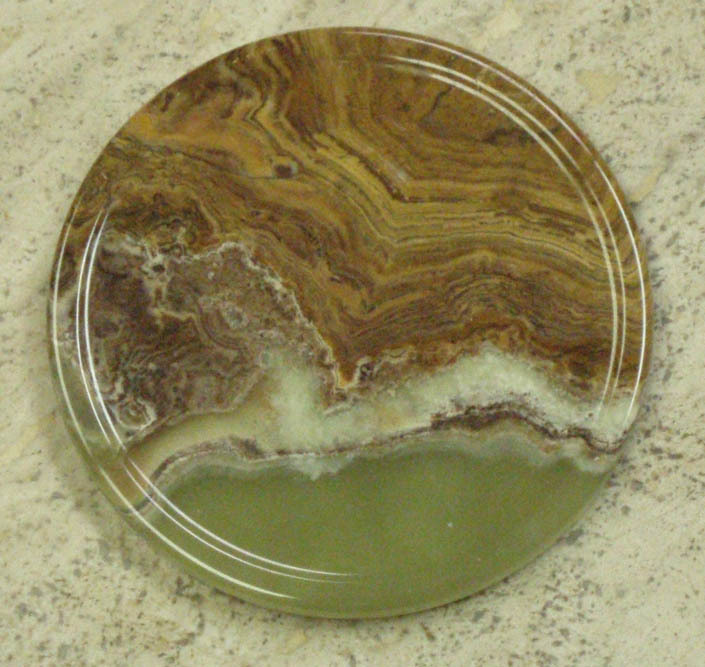 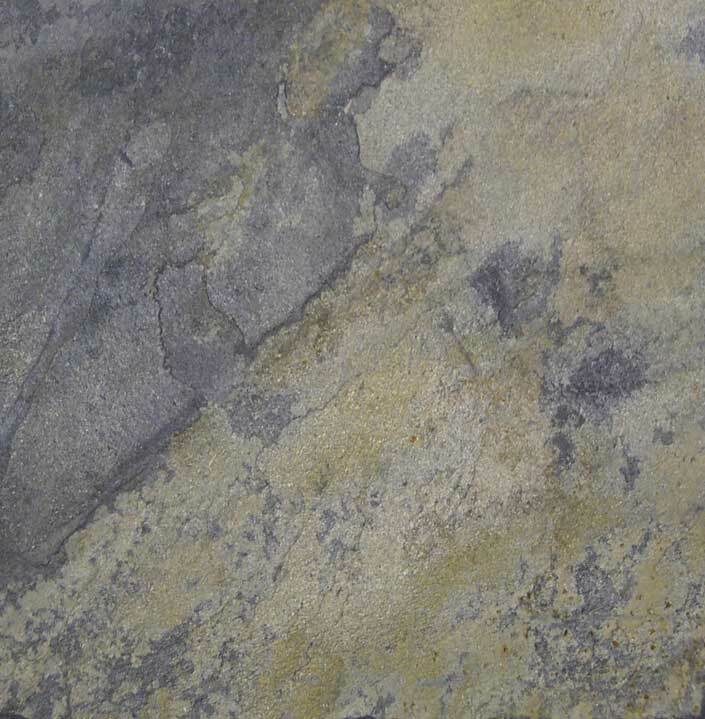 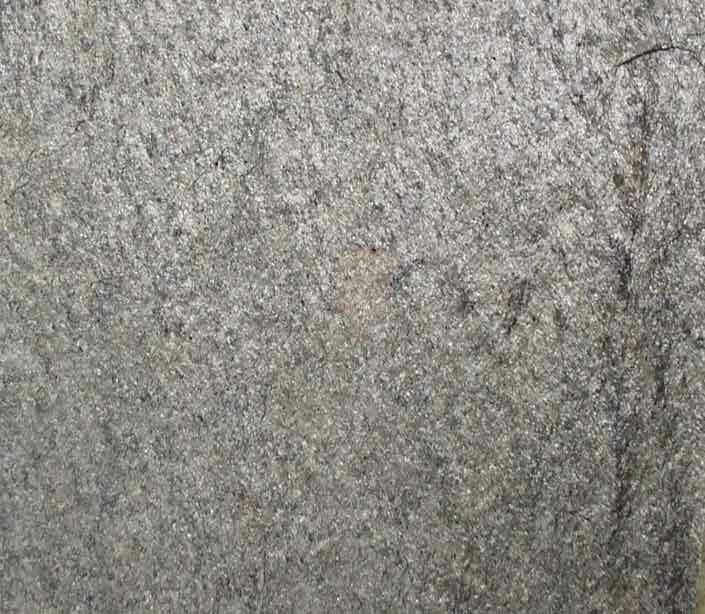 The colors and patterns which adorn each coaster are unique, and are placed there naturally during the formation of the stone. 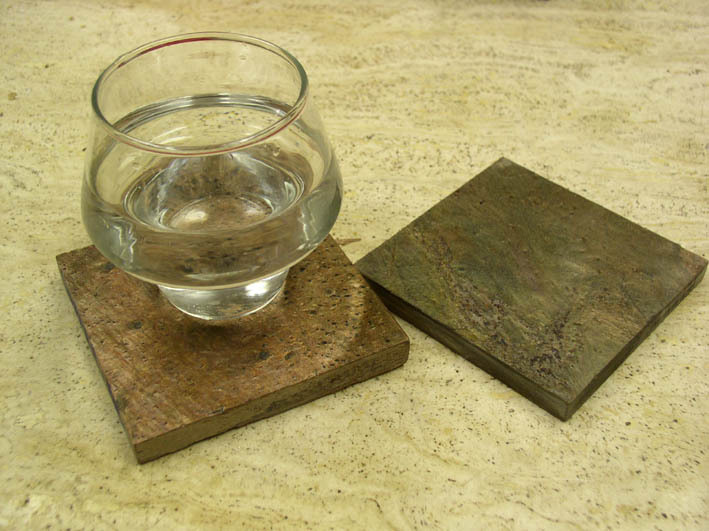 The only human infuence on the appearance of these coasters is the elegant hand carved design, whose simple dignity is finished off with a polished sheen. 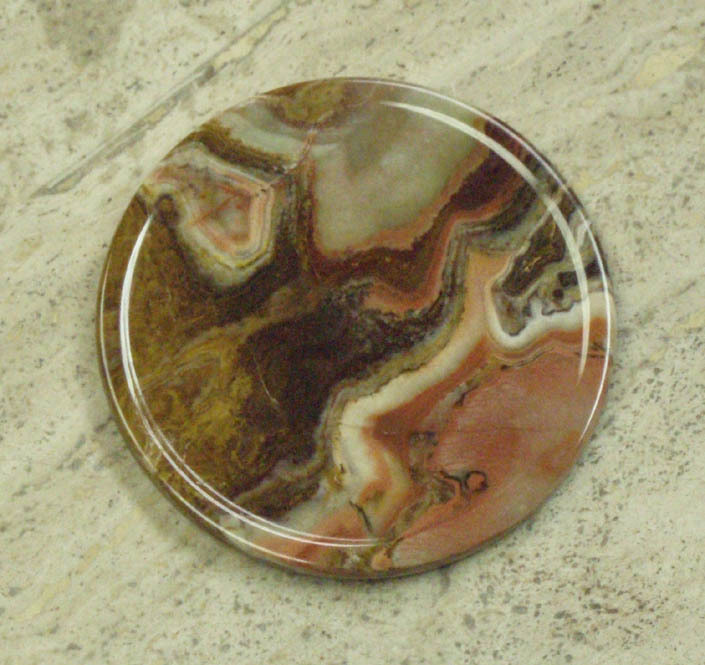 Imported onyx stone drink coasters are sold in sets of 6 and come with an attractive coaster holder, cut from matching onyx. 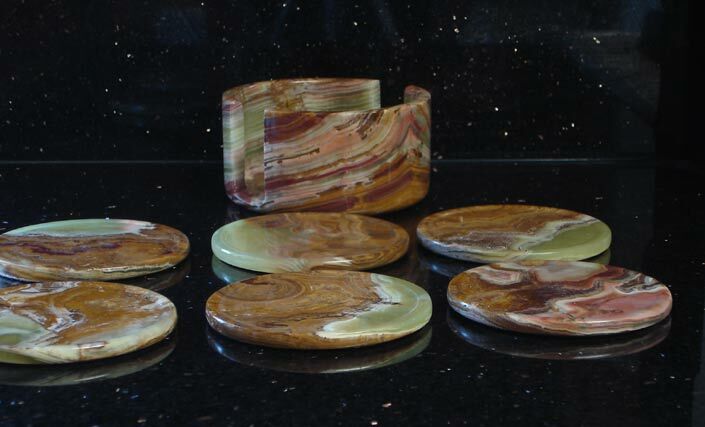 The coasters are hand carved and polished, and have a cork backing to protect your furniture from scratches.